A bespoke chauffeured Mr Mustang Hire Margaret River Mustang tour has to be the best way to sample great food and wine in the region, if your are looking for a tour with a difference or looking for a new way to experience Australia’s South West finest attractions. Imagine being picked up from your accommodation in a classic 1965 Mustang with a private chauffeur for a day of culinary food and wine adventure. Start with a beach-side caffeine fix at Surfers Point, where you will be captivated by the sweeping sky and spectacular ocean views as soon as the Mustang cruises the last bend on Wallcliffe Road. This is where the world-famous Margaret River Surf Pro is held each year. 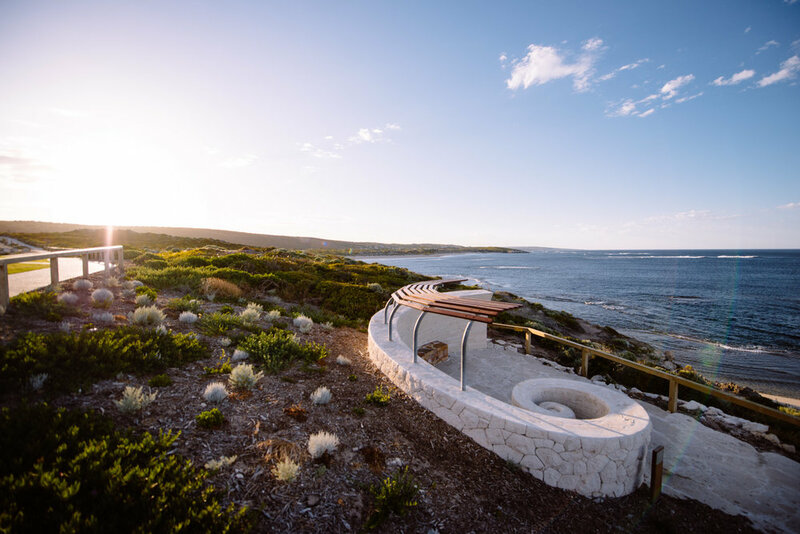 A short drive into Margaret River township gives you an opportunity you to meander through the street and gaze in admiration of the local designers and artists work including ceramics, sculptures, woodwork and watercolours. The first food and wine experience is a tasting at Leeuwin Estate, one of the founding five wineries of the region. The drive into Leeuwin is as magnificent as their award-winning wines, a winding road bound by tall timber Eucalypts with momentary views of the vines in between. Leeuwin’s restaurant bi-fold doors smoothly and continuously carry the outside in as does the glass-covered roof added during the restaurant’s recent refurbishment. Step out onto the expansive patio with its spectacular views over the manicure grounds and stage that hosts some of the Australia’s South West most prestigious events. During an intimate guided tasting, savour five impeccable wines and matched culinary delights that’ll drive your appetite into gear. Feeling a lot more relaxed, soak up the beams of sunlight that shine through the uppermost branches of the trees as you’re chauffeur driven in our 1965 Mustang along Caves Road to Amelia Park Wines. Where tradition, craft and quality seamlessly come together to create a five star wine and food experience. Recognised as one of Australia’s Best Cellar Doors by Gourmet Traveller Wine, upon arrival the ‘Get Smart’ vault-like sliding doors open up to unveil a faintly lit barrel room with that very distinct heady aroma of oak, then another set of sliding doors open to reveal the cellar door tasting area, immersed in light from floor-to-ceiling windows and striking views of vineyards and pastures beyond. Impressive! Amelia Park is worth a tour for the building’s stunning architecture alone. After a wine tasting, your second culinary experience is in the restaurant for your where ordering from the seasonal menu, is a challenging choice for even the most sophisticated gourmet. The setting is just as magnificent with the same breathtaking view of the rolling vine covered hills. After a mouth-watering meal prepared by Chef Blair Allen and glass of Amelia Park wine, you will be driven in our 1965 Mustang a small distance to Aravina Estate for dessert. The choice is yours, either take a place at the tasting counter, marvel at the classic vintage collections in the sports car gallery (a must see for car enthusiasts) and recently opened WA surf museum or meander through the Hampton style homewares store. From the terrace, there are more spectacular views – a gazebo, a lake, and magnificent manicured grounds filled with roses, hydrangeas, camellias, natives and of course, in the distance, vines. With your desired dessert, you’re served a glass of matched Botrytis Semillon. You’re feeling totally satisfied the amazing day you’ve enjoyed. But, there’s more to come… just around the corner at Margaret River Dairy Company for tastings of locally made award winning cheeses and delicious yoghurts for you to try and buy. And of course your Margaret River Mustang tour is not complete without a stop to Olio Bello, located on a magnificent 320 acre certified organic property in Cowaramup. This boutique, multi-award winning producer of extra virgin olive oil has a stylist tasting room where you can learn the "how to" of tasting extra virgin olive oils, and sample the gourmet deli range of dukkah, tapenades and condiments. With your delicacies in hand, you make your way out and then sink into the Mustang’s leather seats, as your Mr Mustang Hire chauffeur asks you if you’d like to stop at Gabriel Chocolates, and without delay you say ‘yes please’. Western Australia's first bean to bar chocolate makers, Gabriel chocolatier converts cacao beans imported from renowned producers around the globe into chocolate. Gabriel’s artisan chocolates are the quintessential way for your taste buds to conclude the most delectable Margaret River Mustang tour. As you are chauffeured back to your accommodation venue at the end of the day, you converse about what your favourite moment was. Are you able to choose? Mr Mustang Hire’s bespoke Margaret River Mustang tours are a unique journey indulging in everything the region is renowned for with a professional chauffeur, in classic 1965 Mustang comfort and in style.